CROSLEY CR37. BlueBird / BLUE MIRROR RADIO! 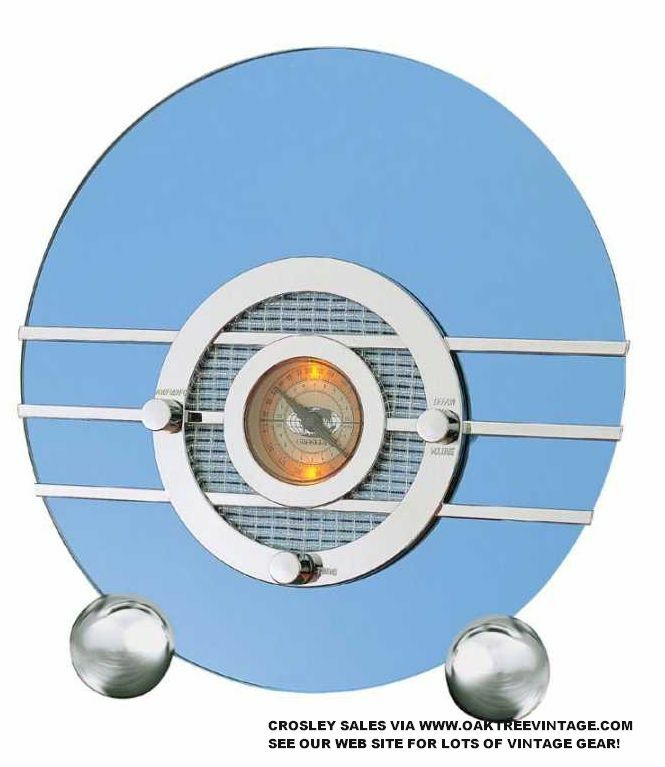 Sparton style Crosley 'BlueBird' radio. Modern twist on one of the most classic radios ever designed from the 1930 'Machine Age'. Cobalt Blue, AM / FM Radio / Cassette Player. IT'S BACK IN ORIGINAL "COBALT BLUE" !!! We can't say enough about this radio. We ordered both the CR-38-CD (while they are available) and this CR-37 'BlueBird' for ourselves. 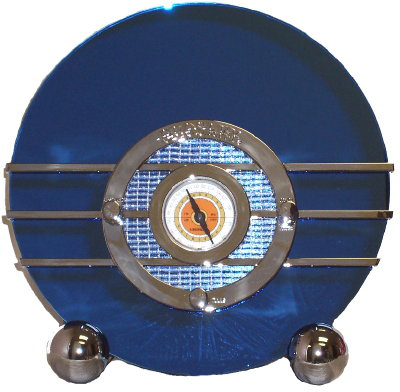 Beautiful re-creation of one of the world's most famous art deco radios, the Sparton, "Blue-Bird" radio. Designed, engineered and crafted by hand then and now. The radio features an 'old school', analog* AM/FM tuner that you can still tune by 'feel', unlike more modern 'digital' tuners. By the way, the quality of the tuners ability to pull in distant stations, especially on AM is exceptional. We have an all metal construction warehouse in Colorado Springs, and there's a sports / talk station out of Denver that only the best tuners can typically receive. This CR-32CDOT picked it up loud and clear without even moving the antenna! Great for listening to those night-time ball games. The FM worked fine as well and gets exceptionally loud. Real mirror slants back dramatically as originally inspired 1935, Sparton BlueBird and it's larger brother the Sparton 'Nocturne'. Here's something I discovered when I received the unit I had ordered for myself. I assumed the mirrors would be plastic given the price. It's REAL GLASS!!! This radio is a real 'head turner' and everyone that comes in our house immediately notices and asks about it. Dimensions 14"h x 14"w x 7.5"d 11 lbs unpacked. * What is 'A' stock? Photos do not do this radio justice. It's beautiful and VERY impressive in real life! Much larger than we expected!